IT HAS 130 routes, hundreds of overlapping lines, and a map stretching from Dublin city centre as far out as Wicklow, Kildare and Meath. Dublin’s bus network accounts for two-thirds of all public transport taken in the capital on any given weekday, and it’s one very complex system indeed. Plans are currently underway to entirely reimagine the current Dublin area bus system, by making small changes in the short term – like better signposting at stops and more real-time information – and by implementing an overhaul of the route network in the long term. 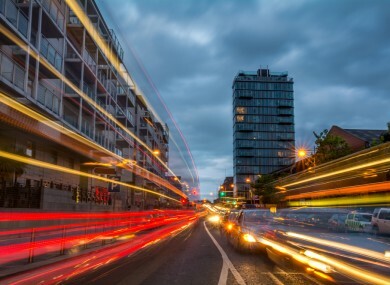 As part of the BusConnects initiative, the National Transport Authority is asking those in Dublin and its surrounds to share their views on what they’d change about the current bus network, via a new online survey. Would you improve bus lanes and journey time? Under the current system, there are only dedicated bus lanes along less than one third of Dublin’s core bus network. This means that for most of the journey, buses have to fight for space with general traffic – as you’ve no doubt noticed if you take the bus regularly. As well as the obvious issue of delays, the congestion means it’s hard to make a bus timetable that’s consistent and predictable, making the overall bus system less reliable and less punctual. The BusConnects plan includes a network of “next generation” bus corridors, with continuous bus lanes as far as is practical along the busiest bus routes. This will involve a widening of the road and changes to parking services in some areas. Key Bus Rapid Transit (BRT) routes will also be developed, to improve journey time and enhance service. Would you change where the buses go? The main Dublin bus network covers the city centre and its suburbs, south towards Kilmacanaogue and Ticknock, north to Malahide and Balbriggan, west to Dodsboro and Kilcock, and east to Howth and Dún Laoghaire. Among the 130 routes are constant overlapping lines, each with their own frequency, with a map that is tricky to decipher unless you’re a regular bus user. The majority of routes pass through the city centre, meaning that areas like O’Connell St, Nassau St and Stephen’s Green carry high volumes of buses – a problem that has been highlighted of late with continued delays and route changes due to the Luas Cross City and College Green projects. One proposed plan is to build a connective bus network for Dublin, with shorter, more frequent routes meeting in the city centre, with interchange points where commuters could change buses. An alternative concept is to expand the number of ‘orbital routes’: buses that go around the city centre rather than directly through it. Would you change how frequently the buses run? Currently, buses are relatively frequent in the city centre, with longer wait times further out on the route map. On some routes, buses run as regularly as every nine minutes or less, while on others, buses may only run every 40 minutes or more. Passengers do not often have to change buses to get to their destination, but wait times can be long. The proposed connective network would be made up of more frequent services, though there would also be the need for some passengers to potentially change buses mid-way through a journey. The ‘high-frequency spine’ idea would make for simpler, more straightforward trips through the city centre, with buses coming every 3 – 6 minutes, although again there may be a need for interchanges. What’s the most vital change you think is needed for Dublin’s bus system? BusConnects is a plan to reimagine the network, so that journeys by bus will be fast, reliable, and convenient. To have your say on network redesign and show what’s important to you, take the BusConnects survey now. Email “What one change would you make to Dublin’s bus system?”. Feedback on “What one change would you make to Dublin’s bus system?”.